This useful Good to Go Safety Wallet and Pen will keep your Check Book safe from general wear and tear whilst providing a perfect writing surface whilst on the move. 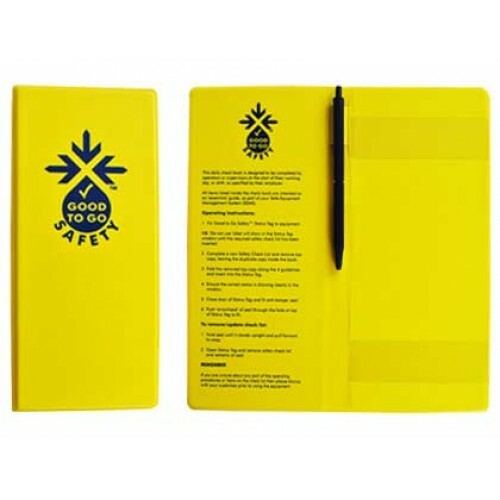 Does not include Check Book or Status Tag. 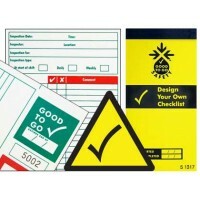 Good to Go Safety is a Safe Equipment Management System (SEMS) which allows workers to carry out a.. 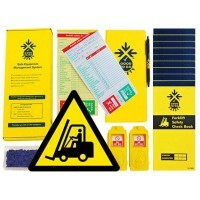 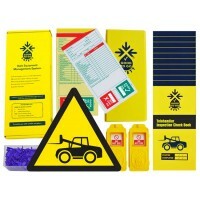 The Good to Go Safety Check Book is an innovative tool for workplace equipment. 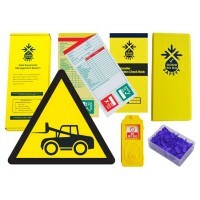 It allows workers .. 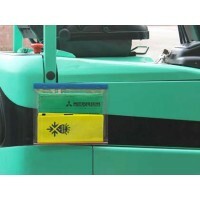 These industrial strength pockets are perfect for storing Good to Go Safety check books and equipmen..
Pre-order telehandler checklists and/or telehandler inspection kits to receive a 10% discount and Se..